Electric Trams - "Toastrack Tram" c1905. 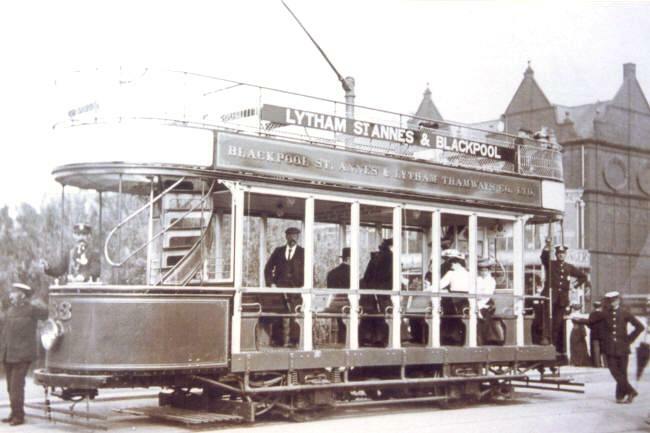 Blackpool, St.Annes & Lytham Tramways electric car no.33 at the junction of Clifton Drive and St.Annes Road West, 1905. These were nicknamed "Toastracks".